Haglund’s deformity is a bony growth on the back of the heel, near the Achilles tendon. 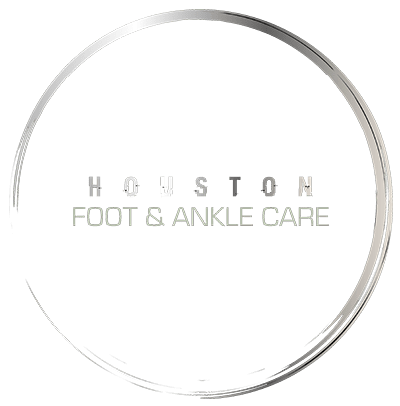 As the growth develops, wearing tight-fitting or stiff-heeled shoes can place constant pressure on the soft tissues, irritating the tendon and resulting in bursitis in the heel. Because of the role of footwear in this condition, Haglund’s deformity is also referred to as the “pump bump.” While pump-style shoes make this particularly common among women, other types of shoes can trigger this condition. A few examples include men’s dress shoes, ski boots, and sport-specific cleats. Other causes can be attributed to hereditary traits, for example if one has feet with high arches or a tight Achilles tendon. The most common symptom of Haglund’s deformity is acute pain at the back of the heel, swelling (from bursa inflammation) and redness. Haglund’s deformity can be treated by wearing open-back shoes, taking non-steroidal anti-inflammatory drugs, placing ice on the bump for 20 to 30 minutes per day to reduce inflammation, wearing orthotics and heel pads to lessen the pressure of the shoe on the heel. Haglund’s deformity can be prevented by wearing open back shoes and performing stretching exercises to loosen the Achilles tendon. Surgery may be considered when the above measures don’t provide relief.